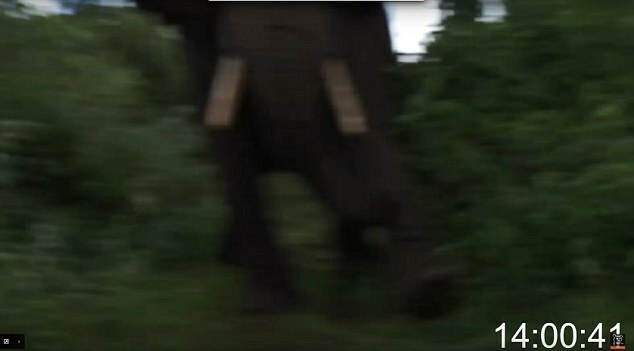 Is this the terrifying moment that shows cruelty of humans has turned elephants against us? Heart-stopping video emerges after a respected British naturalist narrowly survives a shocking charge in the jungle. Looking back over his shoulder, Ian Redmond could see the 8ft-tall, four-ton bull elephant charging towards him at ferocious speed. Glancing around, he realised his options were severely limited: there were no trees to climb and there was no way of outrunning the beast, capable of up to 25mph. Within seconds, the angry elephant was upon him, ears flapping wildly and sharp tusks gleaming, and the air was filled with the huge animal’s deafening trumpet sound. In an attempt to avoid being pierced by its tusks, Redmond rolled under the elephant but soon found himself being kicked around like a football. Incredibly, he not only managed to escape with his life but also film the terrifying attack. In his remarkable footage, a serene family of elephants is first seen plodding along in the distance before a huge male spots Redmond and decides to charge, knocking him to the ground. Yet he is no naive safari tourist who ignored warnings not to stray into dangerous territory. He is a very experienced conservationist who co-founded Born Free’s famous Elefriends campaign and has worked closely with Gorillas In The Mist environmentalist Dian Fossey and Sir David Attenborough. He was awarded an OBE in 2006. Despite his years of experience, he was left shaken by the incident, in which he could so easily have been crushed to death. But what has really disturbed him is the chilling conclusions he has drawn about the unprovoked attack. Redmond believes that elephants, not normally prone to acts of aggression, now see humans as the enemy. He says the animal, later named ‘Kali the Courageous Tusker’ by Redmond and his colleagues, charged deliberately after suffering a previous trauma at the hands of poachers. ‘I’ve been given a friendly thump by a gorilla and had close encounters with elephants,’ Redmond says. ‘But this is the first time in 40 years that I’ve been hurt by a wild animal. 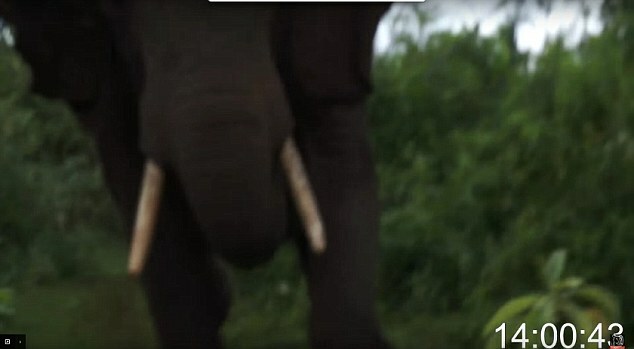 The real point is not that I survived an elephant attack, it’s why did this elephant attack? 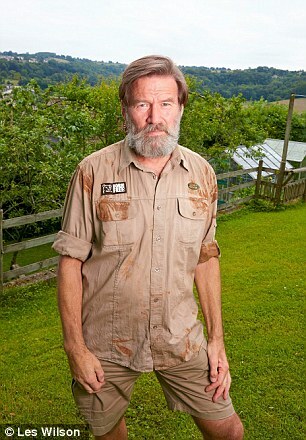 Recuperating back home in Stroud, Gloucestershire, the 62-year-old – sporting well-worn safari shorts – seems in good spirits. The home he shares with his therapist wife, Caroline, 61, contains many books on animals, ten of which he has written. The Born Free shirt he wears is his favourite. He had it on during the attack and it still bears Kali’s muddy footprints. The father of twin boys, now in their 30s, was born in Malaysia but returned to Yorkshire as a toddler. He is perhaps best known for assisting Fossey, whose famous study of Rwandan mountain gorillas was portrayed in the 1988 film Gorillas In The Mist. Such was his influence on the story, he spent a memorable night teaching Sigourney Weaver, who played Fossey, how to grunt like a gorilla. He also held the microphone for Attenborough during his famous gorilla film for the 1979 series Life On Earth. When we meet he is full of mirth despite his injuries, but he also has a serious point to make: elephants are having more negative experiences with humans than ever before. And he says that this, combined with past memories of family members being slaughtered for ivory, is having a lasting psychological effect on them and turning some against humans. In February, British tourist Gareth Crowe, 36, was killed after being thrown from an elephant that turned on its handler during a trek in Thailand. It is thought about 500 people a year are killed by African elephants. 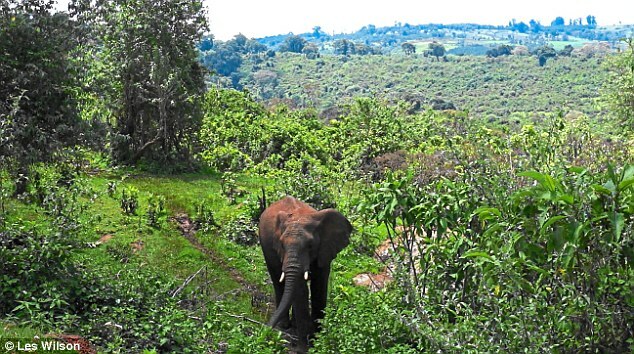 He had been on Mount Elgon, which borders Kenya and Uganda, attempting to film a mother and baby elephant when the attack happened. On the first day, Redmond and the mountain’s elephant monitoring team spotted a group of about 40 within a couple of hours’ walk from a ranger station. The herd seemed agitated. Next day they followed the herd to a grassy glade from where they could observe at a safe distance. Redmond noticed they were moving in tight formation, their pace quickening at the sound of human voices. One elephant, who was drinking, spotted the team and broke ranks to check them out. It then returned to the safety of the herd and, Redmond believes, communicated the humans’ presence to the other elephants. He recalls: ‘The females walked on ahead but the last elephant of the group, a bull aged about 30, peeled off. 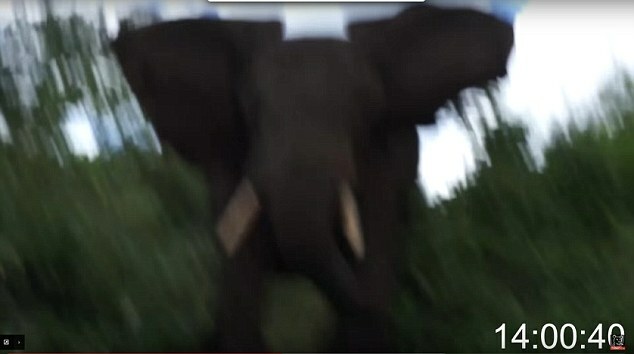 'He didn’t look angry or agitated, but started to run at us with his ears out and trunk up. The books say this display is a bluff. 'We backed off but he didn’t stop. Turns out not all elephants have read the books. 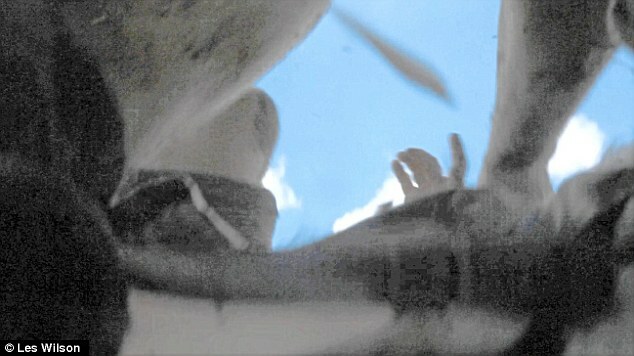 The impact sent Ian reeling in a backwards roll, and he found himself upside down underneath Kali. ‘There was a confused few seconds during which he played football with me. His feet were very muddy. Redmond lay on the grass and heard the crack of the rangers’ guns shooting in the air. The elephant immediately fled. Redmond managed to stand but his neck hurt. Fearing a spinal injury, his team crafted a stretcher from poles and jackets and made the agonising two-hour journey down the mountain before driving to the nearest hospital. He had partially dislocated his shoulder, had soft-tissue damage and suffered severe bruising to his ribs and sternum but had not broken any bones. Seven weeks on, he is still in pain but recovering well. He knows he is incredibly lucky to be alive. ‘I was fortunate to avoid the pointy bits and the weight,’ he says. Redmond says: ‘Something frightened Kali. All the rangers had guns – maybe the smell triggered a memory? A number of research papers have published findings that, like humans, elephants suffer from post-traumatic stress disorder.